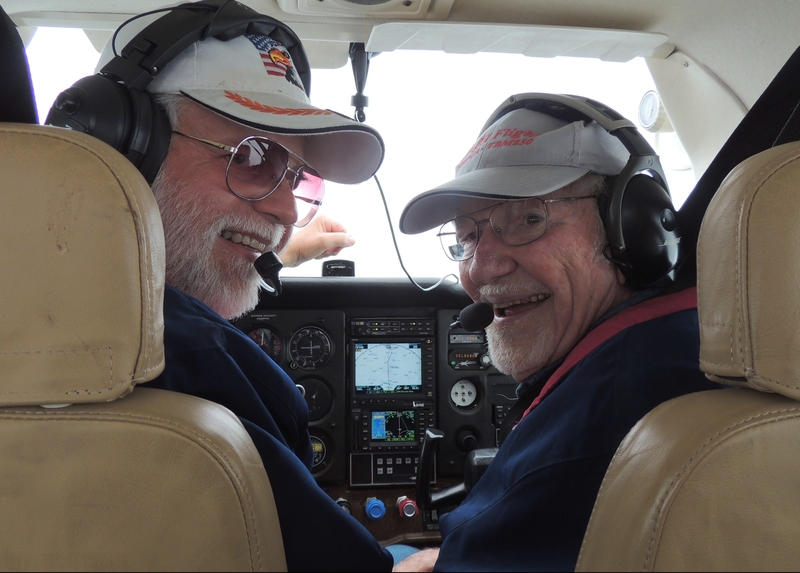 On April 17th 2017 we departed our home base (KLUA) and headed northeast to Westminster Maryland landing at Carroll County Regional (KDMW). Flight conditions at 5000 feet were smooth with light rain in places and a light tailwind component. We made a visual approach to runway 34 in light rain, airtime for this leg was .9 hours covering a distance of 93 nautical miles. Once our passenger Brenda and her friend Philip arrived we enjoyed our greetings and then boarded for our flight to Pittsburgh PA ……. we had flown Brenda and Philip once before back in 2013. After getting our IFR clearance on the phone, we departed Carroll County in light rain and entered the cloud layers at about 3000 feet. Flight conditions to Pittsburgh at 6000 feet were fairly smooth with light rain and cloud layers about two thirds of the way, then the lower clouds disappeared. We had a fairly strong headwind component of about 25-30 knots. We enjoyed good conversation with Brenda and Philip on the way to Pittsburgh while covering 159 nautical miles with a flight time of 1.7 hours. Our approach into Pittsburgh (Allegheny County) was radar vectors for a visual to runway 10. We waited with Brenda and Philip until their ride arrived and then after saying our goodbyes and exchanging big hugs we departed and headed for home. Our flight home had a nice tailwind component of about 20-25 knots and at 7000 feet the ride was quite choppy…. so we requested and received 9000, feet where it smoothed out very nicely. We then were asked by ATC if we could accept 10 thousand feet which is where we remained until back over the Shenandoah Valley. We of course had to initiate our IAP while in cruise back home which we enjoyed very much (In Air Picnic) ! Our approach back into home base Luray was an RNAV Instrument Approach to runway 22 due to some lower clouds and some light rain, although by the time we were on approach it had pretty much cleared out. Flight time for this leg was 1.1 hours covering 132 nautical miles. After tucking 49Bravo back into her hanger we enjoyed some fresh brewed coffee and headed home. Total flight time for this Angel Flight was 3.7 hours covering 384 nautical miles over 4 states. Thanks for your time and we hope you enjoy the following photos of our flight ! This little fella is ready to meet Brenda ! In Pittsburgh with Brenda…… Say Cheese….. and open your eyes ! Headed Home…….. Executing our IAP…….. In Air Picnic !